I remember walking with him hand in hand, sauntering at a gentle pace through the woods down near where I live, just a week or so after I met him. I think I was at risk of frightening him after that first weekend by throwing a few too many curve-ball questions at him. I was just eager to get to know him. I think I already knew beholding this fine specimen of a male of the species in all his splendour, there was a huge possibility I was going to fall very much in love. I have mentioned in other posts that Goldfinch will be leaving England in less than four months time. I have known since I met him in October last year that he was only here on a temporary basis. I probably didn’t need to launch to many intrusive questions at him so early on. I hope that’s what it has been for him…I only want the next four months to be that for him. Much as I would be bowled over and flattered beyond belief if he gave the slightest inkling that he would stay here in England longer for my sake, it’s not going to happen and I would not dream of pressuring him. His parents and siblings are on the other side of the planet, his house is there, his closest friends are there. It is his home. I am nothing compared to what he is going back to. I am grateful to The Haunted Wordsmith for a picture prompt that gives me yet another excuse to write about my beloved Goldfinch. He texted me this evening before I left to go and meet some friends for drinks by the river. Next weekend he will take me to Bath! Yippee! 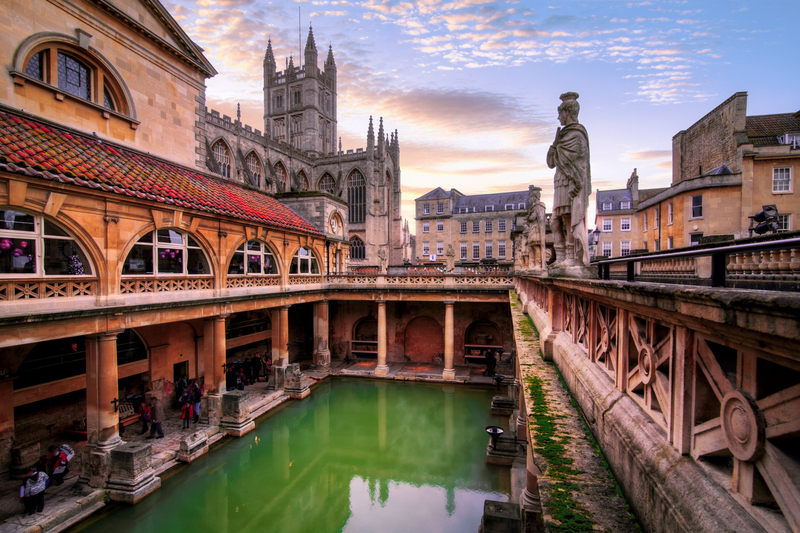 Just in case you did not know…Bath is a stunning city in the south-west of England. Plenty of Jane Austin links…and therefore the BBC and other production companies have filmed at various sites of Bath. It is a world famous historical site also. He has not been (I have been and love the city – in fact I have several good friends who live there) and he is keen to see the city. He had suggested it a couple of weeks ago but we didn’t have time to drive there and back that day. I think it is a very interesting and romantic place to visit. I have only been there with my family and with friends…I would love to stroll at a leisurely pace around such a beautiful city with a man I am in love with as much as Goldfinch. I would love to have as many beautiful weekends with Goldfinch as possible before he heads off to the other side of the planet. It will be a wonderful way to spend a weekend with him. I am just googling as much information as possible about restaurants and tours of Bath and how much it costs to get into the Roman Baths and the Pump Room and other famous sites of the city. To be honest…it doesn’t matter where we go. We go wherever Goldfinch wants to go. Much as I love Bath and am very excited about visiting the city with the very lovely Goldfinch…I could be anywhere with him and be happy. Come December…Bath will still be there for me to visit any time I wish…Goldfinch won’t be. It’s not complicated – just love!